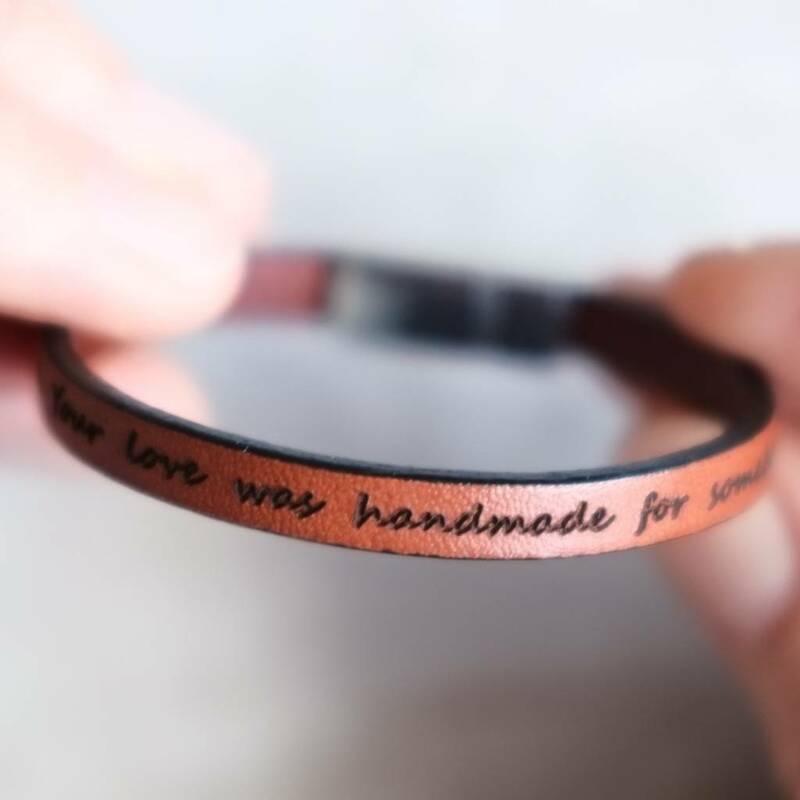 A real leather bracelet designed by Gracie. Available in camel brown, chocolate and black leather with an easy to use stainless steel magnetic clasp. 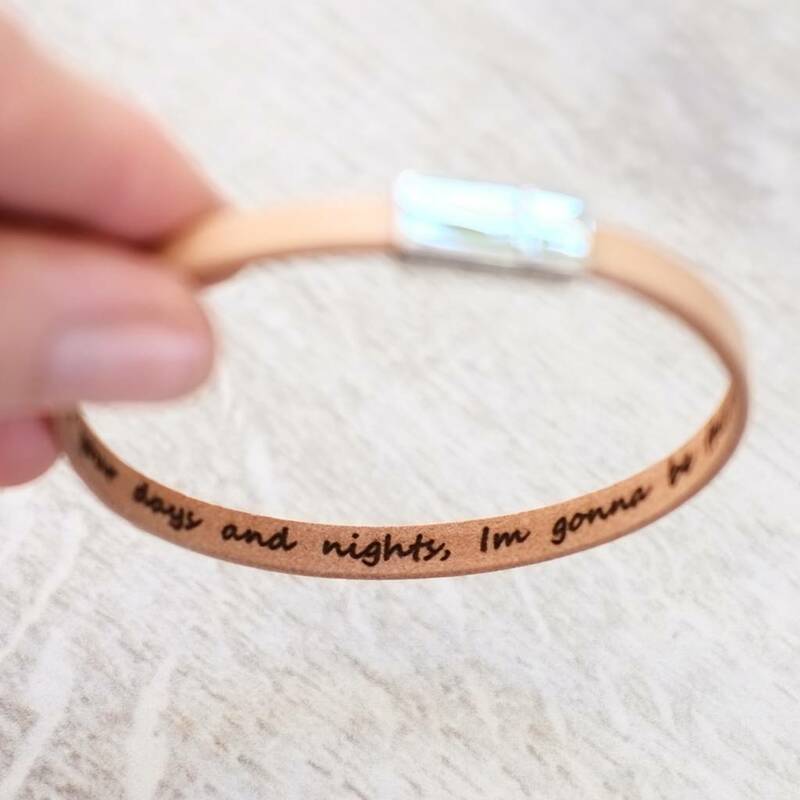 These bracelets are available in three sizes. To help decide the length you want simply measure your wrist or an existing bracelet of the right size. If you would like a different length from the three options suggested then please make a note of this in 'cm' with your order and I'll make it specifically for you. A perfect gift idea for a stylish Dad this Fathers Day. Or to send with someone special on their travels. 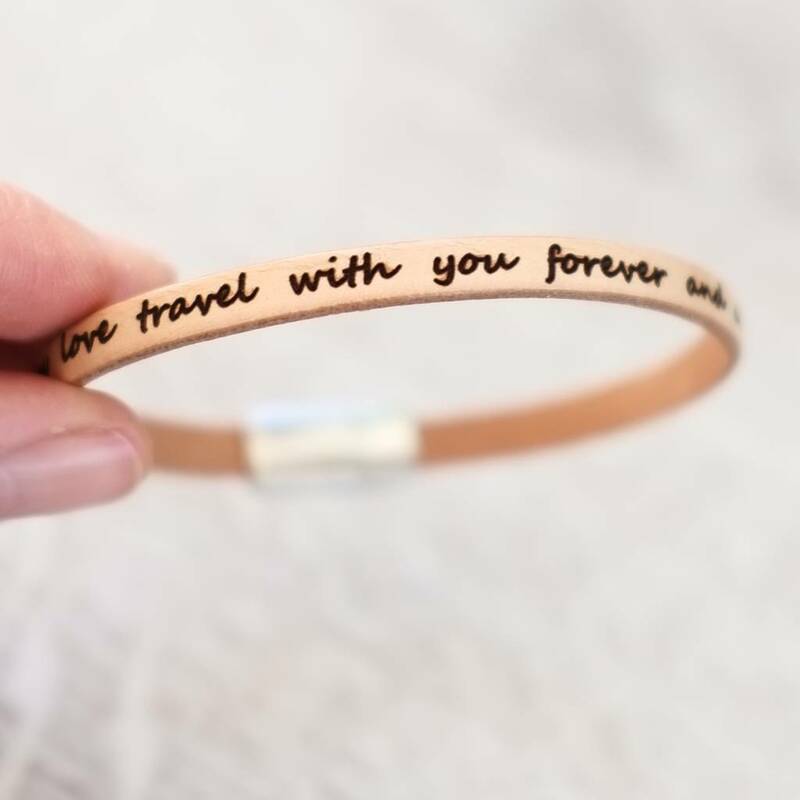 Gracie can engrave your leather bracelet with up to 15 words on the inside as a secret message or outside of the leather strap. 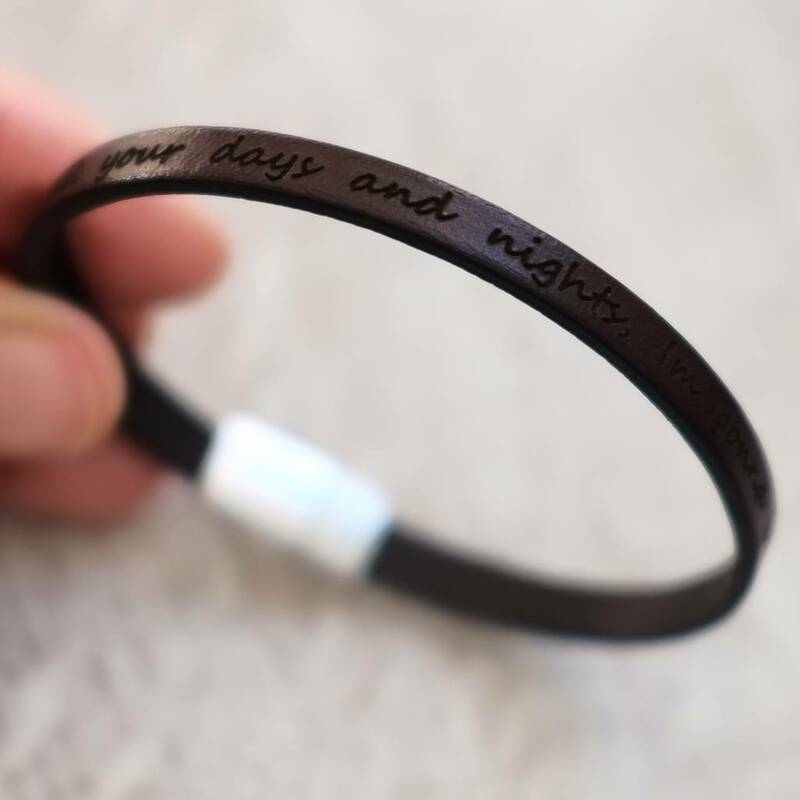 Each personalised message is written centrally but doesn't always cover the whole length of the bracelet. 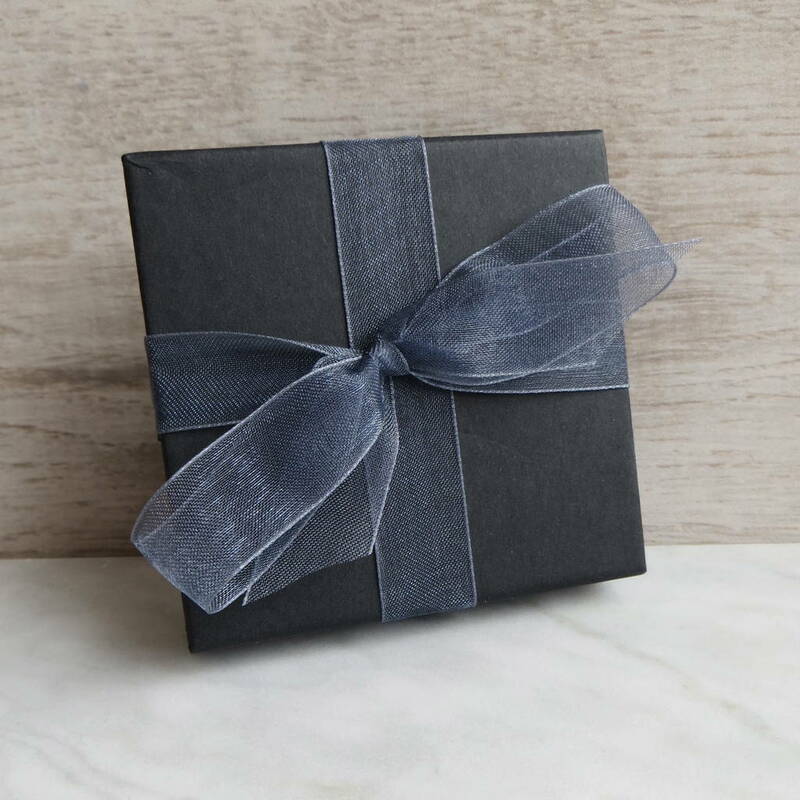 Each bracelet is packaged in a gift box, and can be sent directly to your gift recipient. Made using real leather with a stainless steel magnetic clasp. 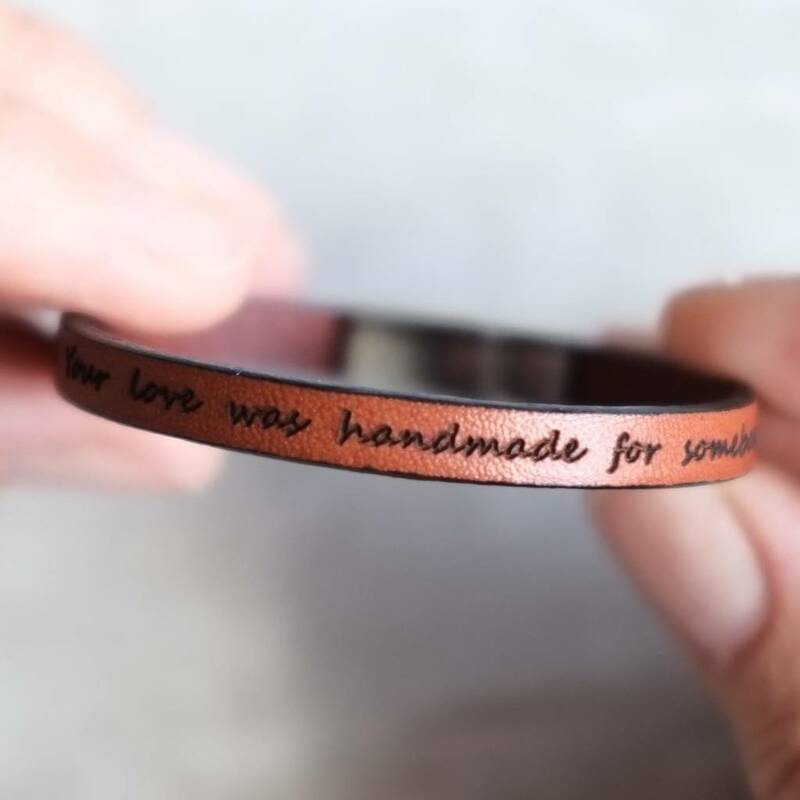 Each leather strap is 6mm wide. 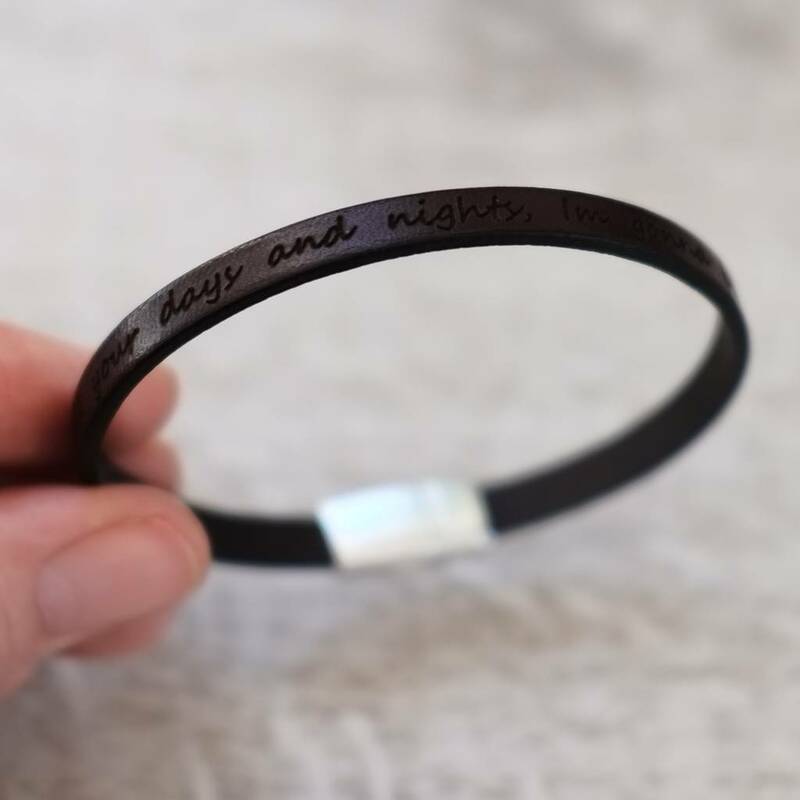 The stainless steel clasp is 1.5cm in length.